During watching live videos from your mobile device with the app. 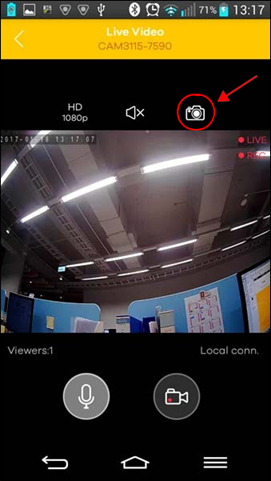 You can also manually record a live video or take pictures through the camera and store the video/images on your mobile device. 1. Tap Cameras then My Cameras. Tap the live view area of your Aurora camera to open the live view screen. 2. Tap the recording icon to start recording. 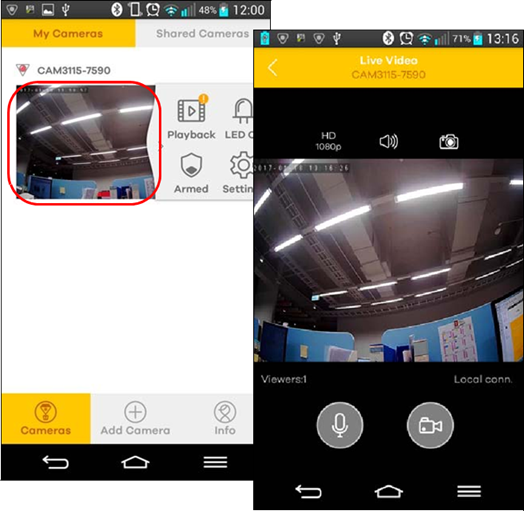 Tap the recording icon again to stop and save the video to your mobile device directly. 3. To take a picture while recording a video, just tap the camera icon. The picture will be saved to your mobile device, too.